Following Burke and Wills (concept image), 2018, copyright MONUMENTAL 2019. This project sees MONUMENTAL expanding on their representation of cultural memory/heritage, probing historical narratives and a uniquely Australian relationship with public monuments. It acknowledges that attitudes to Australian colonial history or its tropes have shifted significantly, as have current cultural values/perspectives, both in terms of what is memorialized as well as the public means of doing so. The work, Following Burke and Wills, involves developing and engineering a travelling, colonial-era monument. This will be a collapsible (telescopic) obelisk mounted onto a trailer, which will be raised and lowered via a hand-cranked mechanism. Its main form will be fabricated with light gauge steel and composite panel, with the façade painted in a deliberately faux stone finish much like a stage prop. 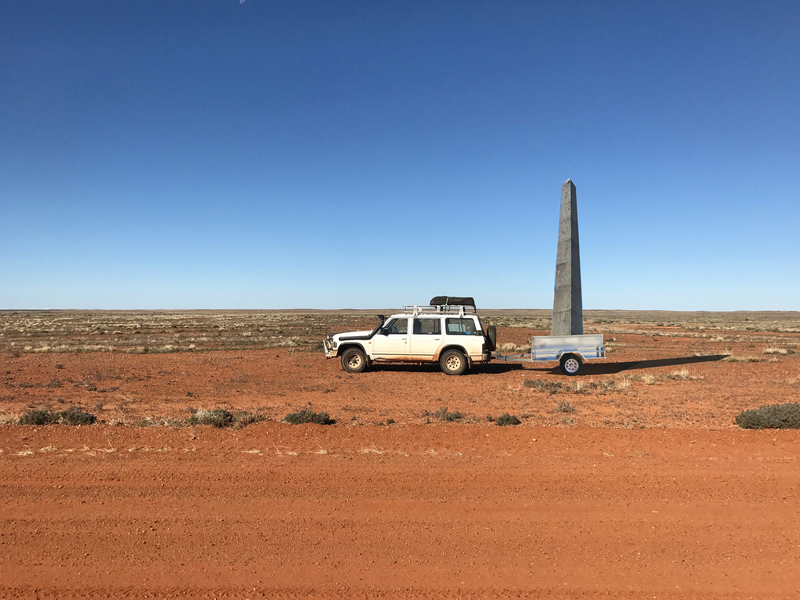 The monument will then be taken on a road-trip -a pilgrimage- re-tracing the path of Robert O’Hara Burke & William John Wills (from the Victorian Exploration Expedition) on their famous 1860-61 expedition over the continent of Australia (from Melbourne to the Gulf of Carpentaria). The performative proposition of the journey and raising the obelisk at significant publicly accessible sites along the track will pay tribute to these renowned explorers. This will all be documented in a major video work and inform several other object-based works, which, visually connect the historical journey with the landscape as it exists today. A critical element of the project is also acknowledging the tragedy and colonial folly of the original expedition, whereupon much of its fame is controversially derived. This is equally what MONUMENTAL aim to re-trace and re-present. 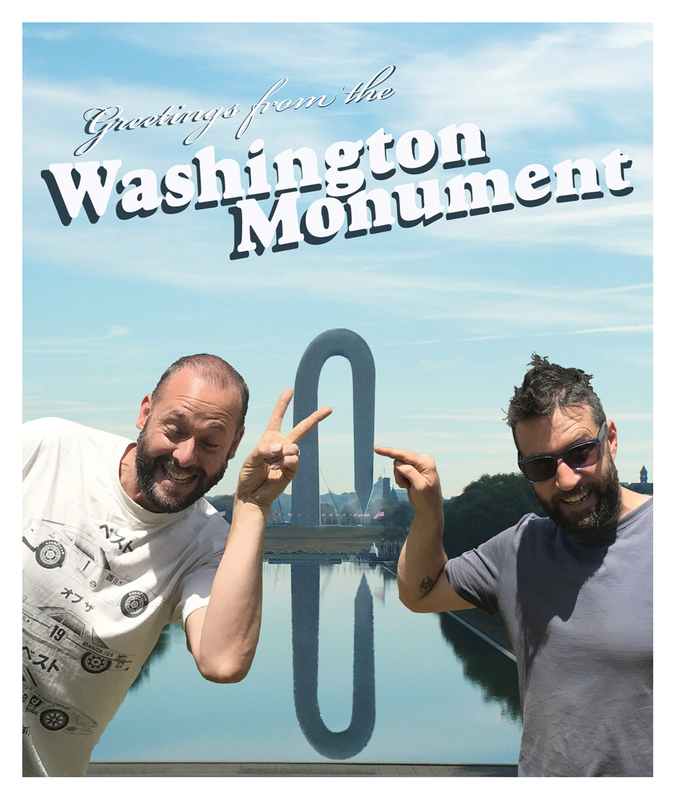 With the obvious folly of two ‘white guys’ hauling a transitory, one-size-fits-all monument across the country, it is here that humor, and absurdity become an illustrative means of revisiting the story while subverting definitive representational premise. 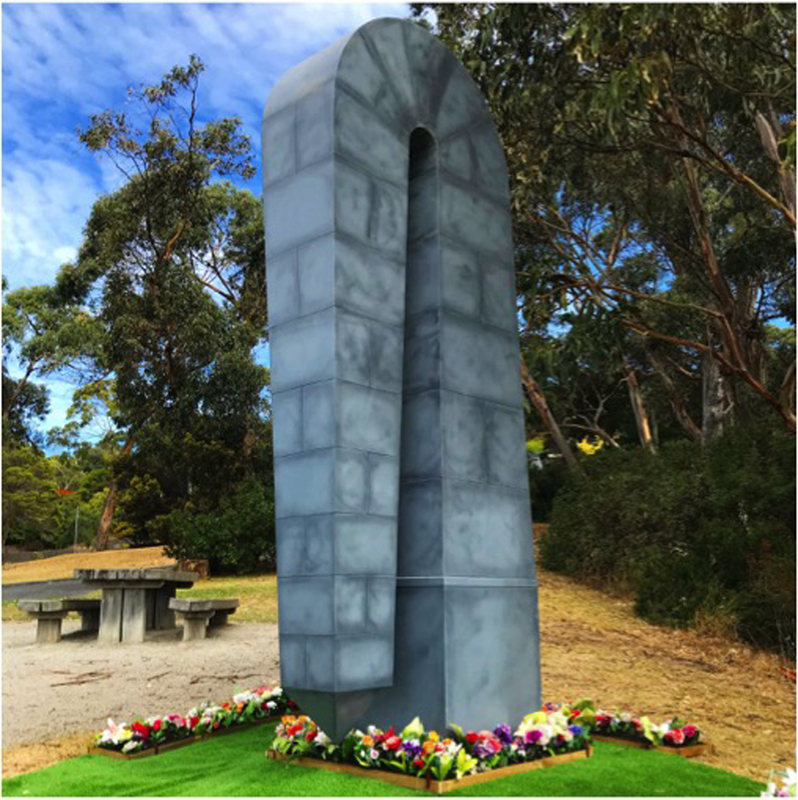 The trailer monument is not just another monument in honor of pioneering exploration in nineteenth century Australia; its deliberate non-permanence is a contemporary measure of resistance against the old memorial game of public monuments and their colonizing, history-claiming function. By commemorating and parodying as such, without dictating or moralizing (though with a hint of self-effacing whiteness), it is hoped that the project’s action becomes a conduit for de-polarizing the main sentiments pertaining to the particular narrative and its defining role within the wider colonial project in Australia. MONUMENTAL will importantly acknowledge the traditional owners of the lands through which they pass. Part of this becomes identifying known or lesser-known indigenous narratives that offer other valuable perspectives on the story, while highlighting and problematising existing and recurrent tropes in the language of public monuments. In questioning and unsettling the historically dominant colonial mythology, it is anticipated that the performative proposition of Following Burke and Wills will encourage constructive dialogue and prompt further understanding of a shared history. MONUMENTAL will capitalize on the live-time of the performance by exploiting Facebook and Instagram. Regular posts will demonstrate the repetitious nature of the project and the commitment to the task of ‘following Burke and Wills across the changing landscape. The project performance/journey will kick-off from Royal Park in Melbourne in July 2019. 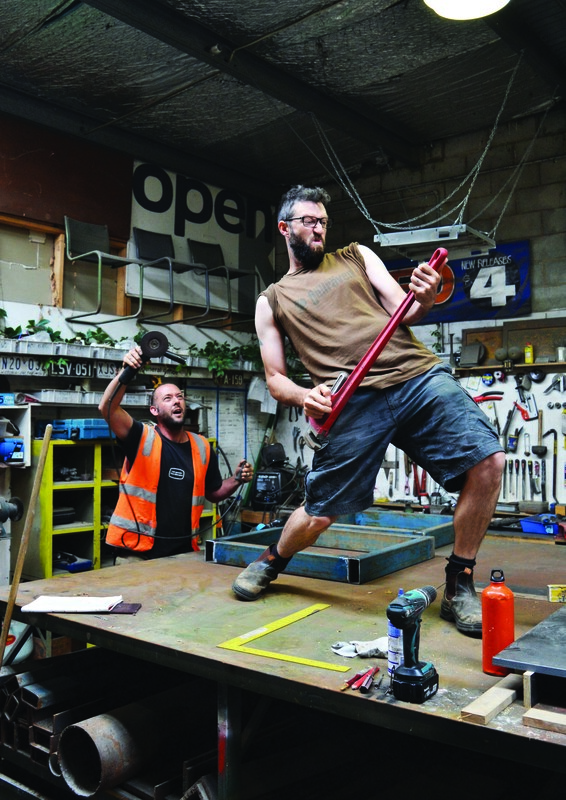 MONUMENTAL (since 2017) is a collaboration between Kyneton based sculptors Jason Waterhouse and Michael Needham, taking aim at representations of cultural memory through subversion, interrogation, mischief and general interference. It is quite deliberately a blend of practices, where the ‘serious’ edge and academic flavor of Needham’s work (looking broadly at death and representation), is spliced with the playful, imaginative and anecdotal humor of Waterhouse’s mutated commodities of the everyday. It is an acknowledgement of sculptural collegiality in the craft of material manipulation. Yet, critically, it is a strategy for integrating seemingly opposing approaches within a single identifiable methodology, unveiling creative ironies from within the wider cultural psyche.